The area of the Plaça Major is home to many modernist buildings. Introduced in the Balearic by Catalan architects, this architectural movement gained momentum in Palma in the early twentieth century. 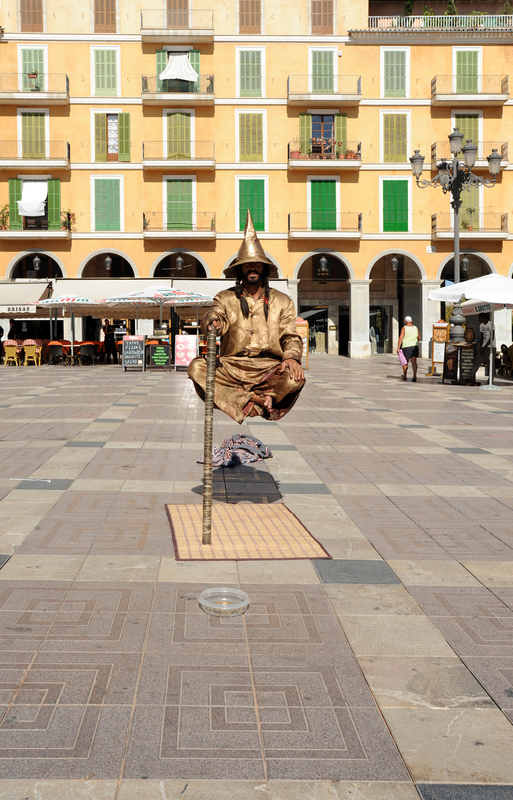 The Plaza Mayor is also the kingdom of entertainers and vendors that scatter at the approach of the police. 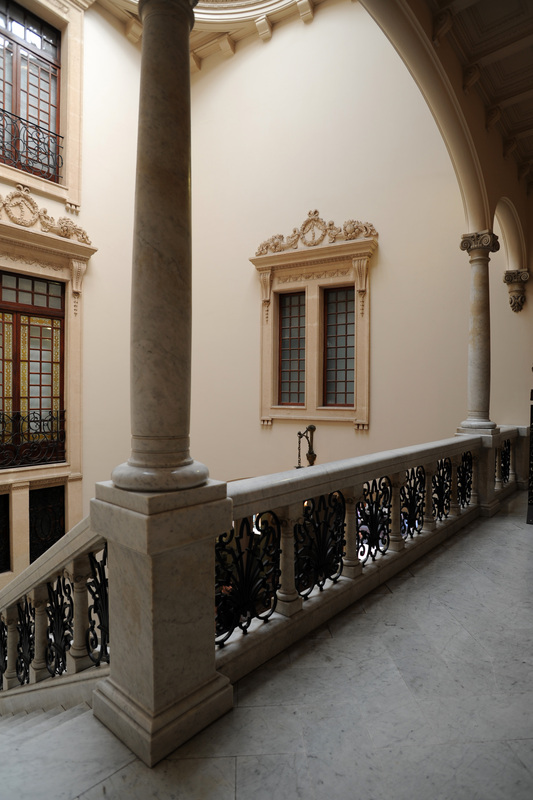 The Museum of Contemporary Spanish Art (March Collection) is installed in the historic center of Palma, in a mansion in the local style that originated in the seventeenth century. The building was originally a small inn known as the "Gallard Canyar". It was rebuilt and enlarged by the addition of an adjacent second third of the eighteenth century house and was converted twice during the nineteenth century: the first time in mid-century, in order to modernize, the second time to 1897, when the property was trimmed from several meters of frontage to widen the St. Michael (Carrer Sant Miquel). The building was acquired in 1916 by the banker Joan Ordinas March when he decided to leave his hometown, Santa Margalida to settle in Palma. Joan March asked the architect Guillermo Reynes i Font (1877-1918) to renovate Gallard Canyar to make his residence in the capital. The architect lives also given a second project: the construction of a leisure Villa Sa Torre Cega, on the coast of Capdepera, whose wife of the banker, Melis Elionor Servera, originated. 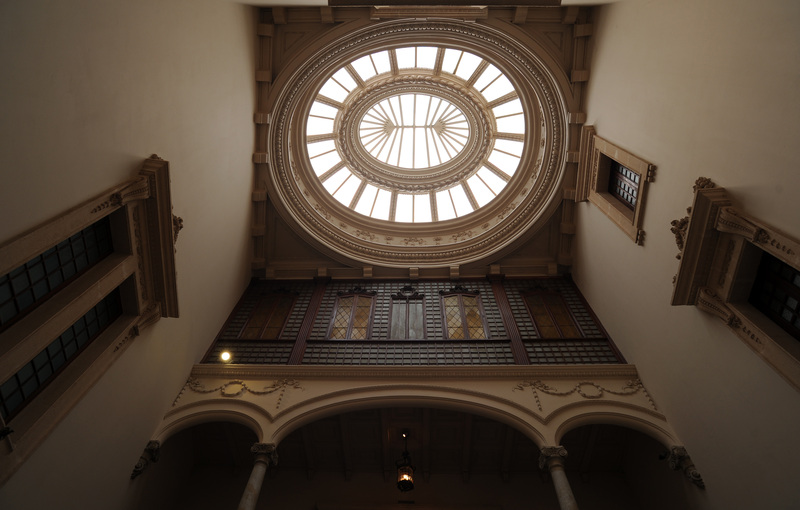 The renovation, which was completed in 1917, aimed at transforming the upper floors in residence for the family, and the ground floor into offices for the activities of the financial institution Joan March. But it was not until 1926 that the building became the official seat of the March Bank. The building was later the subject of other changes, the most important in 1990, when it became the seat of the Spanish contemporary art collection of Joan March (Fundación Juan March) Foundation. This transformation touched the entire building, with the exception of the courtyard with stairs, rooms on the ground floor which also house offices, facades and roofs. This rich art museum has a permanent exhibition of the fine collection of Joan March of more than 70 paintings by 52 contemporary Spanish artists such as Salvador Dali, Pablo Picasso, Joan Miró, Juan Gris and other lesser-known artists such as Antonio López or Chilida. The museum also has a room dedicated to the exhibition of graphic works by Pablo Picasso. The tour offers an interesting approach to art in Spain in the twentieth century from surrealism to the advent of new trends. Temporary exhibitions of current trends are regularly organized. Open Monday to Friday from 10:00 to 18:30 and Saturday, from 10:30 to 14:00. Closed Sundays and holidays. The Plaça Weyler is dominated by the Gran Hotel, beautiful building decorated the facade of glass, wrought iron and woodwork. This beautiful mansion, designed by Lluis Domenech i Montaner, has just undergone a major restoration that has reclaimed its extravagant forms. 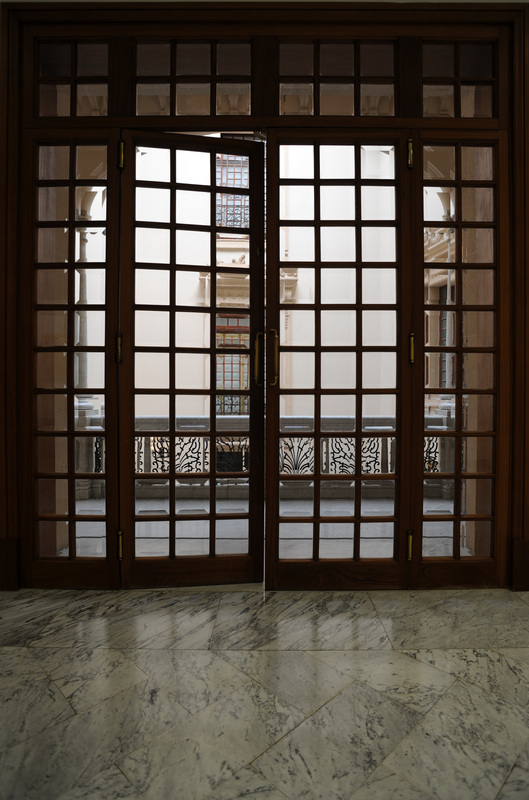 The Gran Hotel features Caixa foundation that organizes temporary exhibitions in addition to the permanent exhibition of the painter Anglada Camarassa. Visit Tuesday to Saturday, 10:00 to 21:00, Sundays and holidays from 10:00 to 14:00. 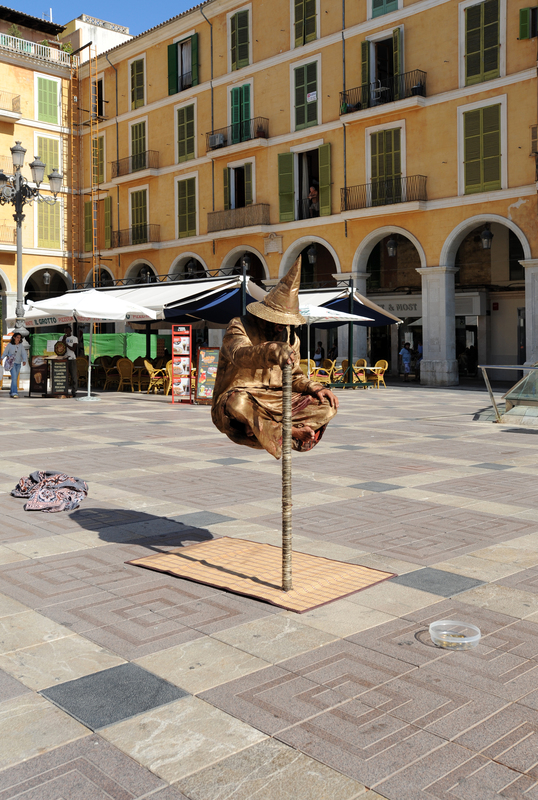 The Can Montaner, also called Can Morell de les Caputxines is located at No. 11 Carrer de les Caputxines. This Gothic-style mansion dates from the sixteenth century, but was rebuilt in the seventeenth century and renovated in the eighteenth century, erasing all traces that might betray its medieval origins. The main gate, with a segmental arch and a concave original, and a balcony baroque style in the upper part are the features of the main facade. The balcony was decorated with coats of arms in the center representing the crown of the Marquis de Reguer and is no longer visible today. In the porch you can see octagonal pillars. The entrance has a beamed ceiling and a low arch that leads to the patio. The most notable items in the patio are the monumental staircase to the right, accessible through another arch, and the capitals of the pillars that represent badges families Amar and Muntaner. The Can Garau d’Aixartell is located in Carrer de Can Campaner at number one. Can Garau of the house belongs to the medieval style Aixartell: mullioned windows opening on one of the facades testify. In the sixteenth century, the house belonged to Don Miquel Garau, whose arms appear above the window of the study. Miquel Garau married Margalida Aixartell: this is the union that is exactly the name of the house. The patio is the result of several architectural projects throughout all time. On the capitals of the columns, one sees the weapons Rossinyol family. The Can Ferrandell is located in Carrer de Sant Jaume, at number three. Before the eighteenth century, Can Ferrandell was the mansion of Gual-Moix. In 1790, it was owned by Josep Ferrandell, Marquis de la Cova, related field (possessió) Son Ferrandell to Valldemossa. In 1805, his niece, Francesca de Villalonga i Ferrandell, gave the house the name Can Ferrandell. In 1788 she married the military Ramón González Maroto, which is why the house is sometimes called Can Maroto. The interior has a hall which dates from 1723, in which there are columns of red marble Ionic style that support segmental arches and vaults cover four edges as well as the staircase is here, located in the hall and not in the open patio. The square patio, renovated, retains the shield of Ferrandell. In 1954, Can Ferrandell undergoing work to be turned into a hotel, the Hotel Born. The Can Rullan is number 4 of the Carrer Sant Jaume. Can Rullan is the former mansion of the Marquis de Reguer, it was built in 1833 in terms of the master architect Bartomeu Ferra. It was designed as a mansion in neo-Gothic style with a patio, and influenced many medieval style houses in Palma, as well as the Catalan Gothic architecture. The Can Rullan was owned by the Counts of San Simón, and the residence of the Reguer-Rullan family. Access to the patio by the entrance with covered ceiling. On the gate is kept the crest of San Simón, who is also represented on the capitals of the pillars. In the patio, you can see flattened arches, stairs with railings and fretwork panels and a whole rich ornamentation inspired by ancient styles, particularly the medieval bestiary. Since 1990, Can Rullan is the seat of the Barceló Foundation. 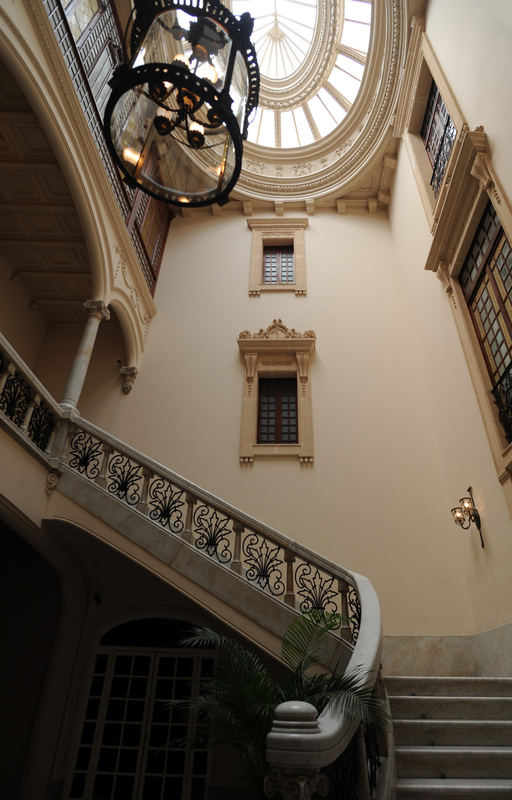 The Barcelo Foundation ranks Can Rullan, a beautiful Majorcan mansion of the late nineteenth century. This foundation was created by the family Barceló Oliver and his activity is directed towards education, training and research in art from a didactic point of view. It houses a collection of paintings Majorcan nineteenth and the first half of the twentieth century. Visit throughout the year (except August) from 9:30 to 13:30 and from 16:30 to 20:00. The Can Iraola is located in Carrer de la Gavarrera at number 4. This is a house and a patio of medieval origin, modified in the seventeenth century and especially in the early nineteenth century when they became the property of the family of Basque origin, Iraola. By the outside gate, with arches, one enters the entrance way, small dimensions, keeping the pace of the oldest patios. The ceiling beams rest on stone corbels which, with the pointed arch, refer to its medieval past, the Gothic houses of the fourteenth - fifteenth century. The Can Castelló is at number 12 Carrer de la Concepció. The house was in 1685 owned by the merchant Onofre Barceló. In 1724, it passed into the hands of the Genoese governor Fonticelli Carlo, who carried out a renovation of the house and the patio, with a clear Italian influence. Later, it is owned by the French Francesc Ascher, married to Francesca Fonticelli i Socíes. Over time, the house changed hands. In the nineteenth century, it passed into the hands of Bartolomeu Castelló i Sard heir Rosa Ascher i Fonticelli. The patio features a stylish set of flattened arches and vaults, which are based on red marble columns Ionic style. The staircase, originally in two parts, was extended during a transformation in the nineteenth century. 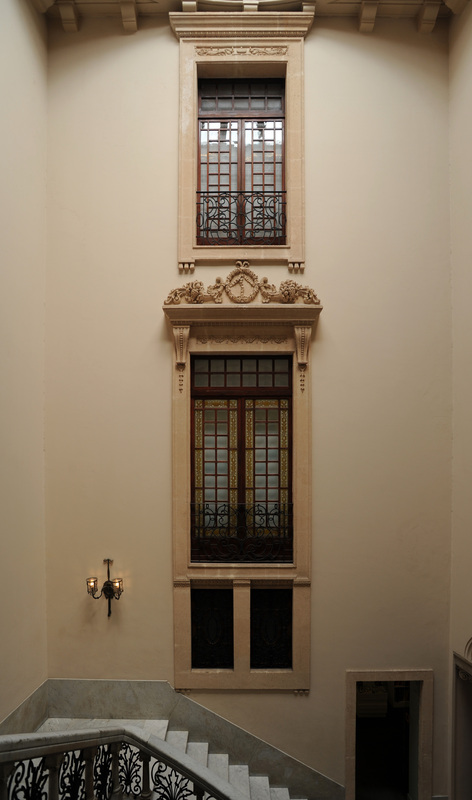 The modernist appearance of the facade is the result of a renovation architect Jaume Alenyà in 1909. At the end of the patio, there is a garden. The Can Forteza del Sitjar is at number 24 Carrer de la Concepció. This is a patio area which corresponds to the traditional typology of the seventeenth century. In the sixteenth century, it belonged to the Safortesa family, and in 1685 it became the property of Pere Antoni Quint-Safortesa. According to estimates when the house had a value of 1.800 lliures. The entrance is marked by a ceiling, and the set of four segmental arches resting on eight semi-attached columns in sandstone. Across the patio, there are interesting decorative elements such as carasses, acanthus and badges on the capitals of columns leaves. Currently it is the seat of the College of Trinitarian nuns: the rest of the building has undergone several major changes to adapt to this school use. Cal Comte de San Simón in the Carrer de Sant Jaume, at number 7. This mansion was built in the mid-nineteenth century, between 1854 and 1856 in terms of Miquel Ferrà i Font, as the residence of Luis de San Simón i Orlandis, Count of San Simón. The house was built on the foundations of an old house belonging to the seventeenth century Orlandis family, heirs of a noble family originally from the fourteenth century Pisa, and fled to Mallorca at the end of the fifteenth century, fleeing the Florentines. In 1803 Josepa Orlandis de Cornelles married Louis de Saint-Simon, Comte French installed in Mallorca in 1795, fleeing revolutionary France, and father of Luis de San Simón i Orlandis. The Neo-Renaissance style on the outside, has an atypical on the patio Majorcan tradition, and reflects a strong French influence. The elegant Palladian, of fluted Ionic columns, gives way to an imperial staircase of white marble. On the central balcony you can see the shield of San Simón. In the year 1872 the Archduke Luis Salvador states that "the house is built of red and black marble of Mallorca, especially of Artà and Binissalem". The Can Tacón is located at number 11 Carrer de Sant Jaume. In the sixteenth century, the house was owned by the Gual-Desmur family. In the nineteenth century, Can Tacón belonged to Captain General of Mallorca Miquel Tacón i Rosique, who was Duke of the Union of Cuba between 1843 and 1847, from which it derives its name. The house, originally Gothic, retains decorative structural elements from different eras, especially the seven gothic mullioned windows, arches flattened Renaissance and other elements of the nineteenth and twentieth centuries.